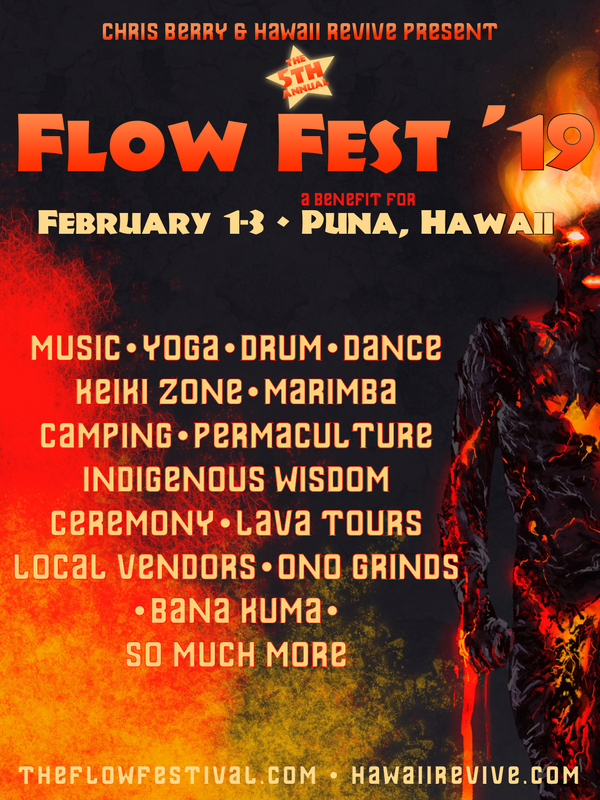 Join us for the 5th annual Flow Festival in Puna on the Big Island of Hawaii! NOTE: Our original intention was to honor Pele and we intend to continue honoring Pele in the best way we know how. We do not take the lava flow personally nor are we arrogant enough to believe the lava flow was prompted by us – we understand that volcanic activity has been forming land on this planet since its beginning and that we as humans have no control over when and where it will do so. We recognize that Pele has challenged many of us in uncomfortable ways. But more than all of that celebrate the ways that as individuals and as community community we have risen to those challenges to discover more depth of self and surroundings; we celebrate the power of nature and respect ourselves as simply one part of it.